The FIFA World Cup is heading to Brazil in 2014 and the Olympics to Rio de Janeiro in 2016. 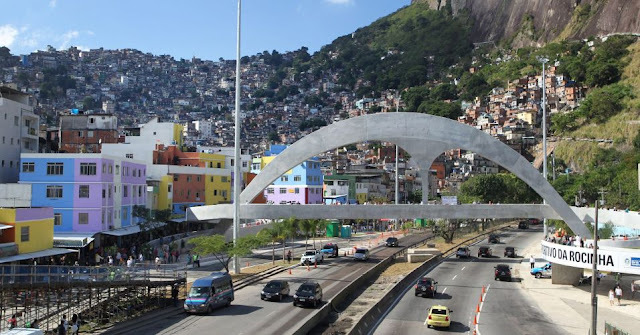 Curving into Rocinha, Rio's largest favela, is a new concrete footbridge designed by Oscar Niemeyer, now 103 years old. The bridge is the product of an ambitious and ongoing attempt to improve Rio’s notorious favelas in time for the global sporting events. 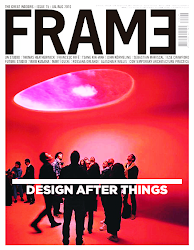 The government initiative – Morar Carioca (Living Rio) – involves hundred of Brazilians designers who are instigating radical and diverse urban interventions in city’s slums. Rocinha is extremely volatile: larger areas are run by drug lords, whose ongoing battles with the police frequently result in disturbingly violent shoot-outs. The favelas have a colourful and rich environment but a highly unsafe one. Only in the past 20 years have the favelas begun to be recognized as a legitimate part of the city. Rio has moved away from the idea of uprooting them and displacing their residents to poorly executed social housing. The economic stimulus of the upcoming events is enabling the successful integration of the favelas into the city by creating community buildings and new public space, improving infrastructure and taking back control from the drug traffickers. 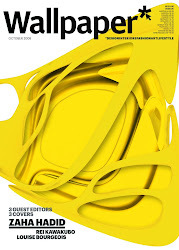 The bridge is a dynamic example of such integration. 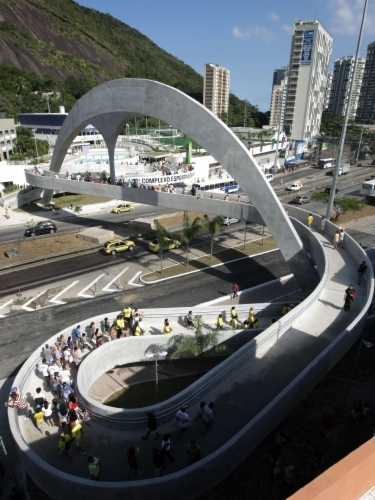 It establishes a pedestrian path over a busy main road and connects a major favela to a new sports facility, while further contributing to Rocinha’s strong identity. Niemeyer’s design, which he gave free to the city in which he grew up, is a typically grand concept but one that has been executed humbly, constructed on a human scale from locally prevalent concrete, it is a simple and absent of detail. The bridge is a gesture, emblematic of Rio’s changing attitudes towards the favelas.